Barcode Label Maker Software for healthcare Industry provides solution to create pharmacy barcode labels, stickers and coupons to track blood samples, drugs, medical equipment and other healthcare products. Barcode Label Maker software is developed for hospitals, nursing homes, private clinics, treatment center, dispensary, pharmacy labs and other medical sectors for tracking what is being given to whom and when. 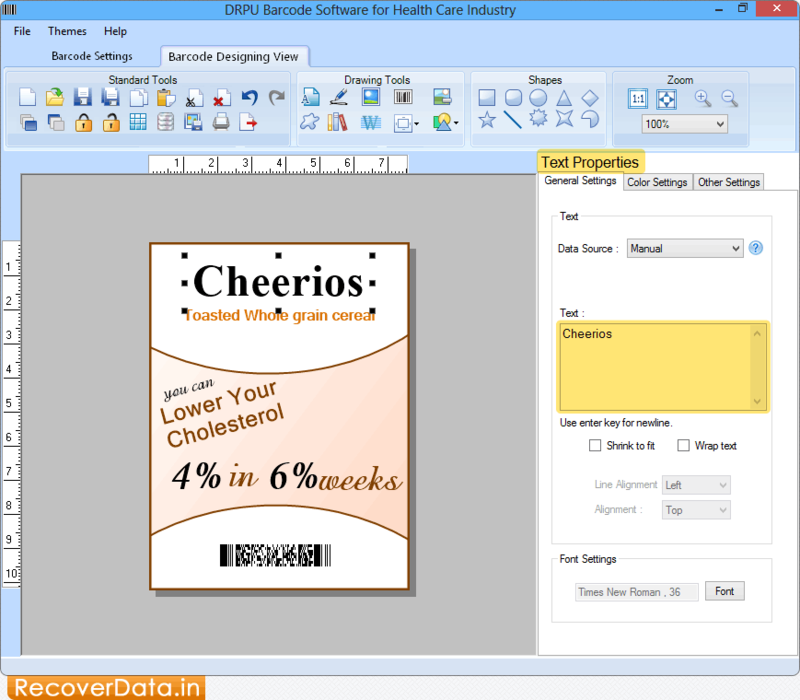 Healthcare Barcode Label Maker software creates multiple number of barcode images using Barcode Batch Process. Barcode software provides inbuilt various designing objects including text, line, picture and other objects to design customized barcode labels. Generates linear as well as 2D pharmaceutical barcode labels for healthcare industry. Provides facility to specify Barcode value, Barcode header and Footer. Create a bulk number of barcode labels using random, constant value and sequential series generating feature. Generates colorful barcode stickers using inbuilt color settings. Provides option to copy barcode images and paste at specified Windows application including MS-Word, MS-Paint and MS-Excel.